Dutch innovator Boyan Slat's audacious plan to clear plastic from the marine area known as the Great Pacific Garbage Patch is undergoing some major design changes. 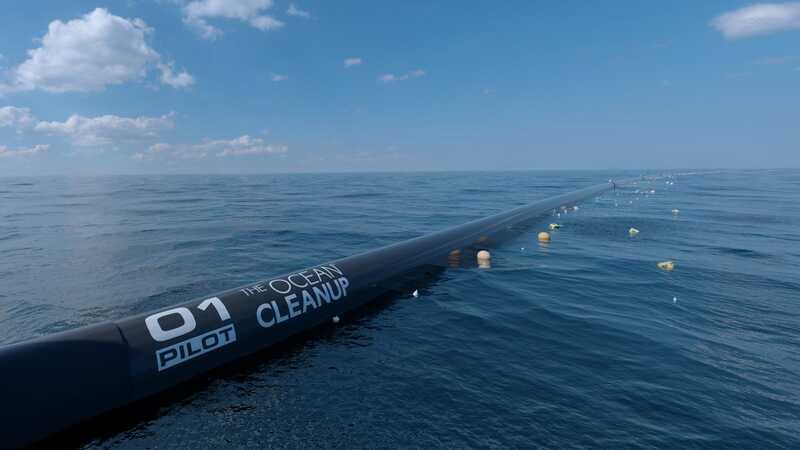 But the 22-year-old tells Business Insider that the first cleanup array is set to launch sooner than expected. Slat's original design involved mooring a massive plastic-collecting trap to the seabed 4.5 kilometres below (2.8 miles) - a controversial plan that gave rise to concerns among scientists. Slat says the group now plans to deploy smaller arrays with underwater "anchors" that drift about 600 metres beneath the surface. Theoretically, the anchors will hold the plastic collecting systems in the spots where they can collect garbage most efficiently. "These systems will automatically drift or gravitate to where the plastic is," Slat says. "Instead of us being able to clean up 42 percent of the patch in 10 years, we can now clean up 50 percent of the patch in five years." These "garbage patches" don't look like islands of plastic - many people who have sailed through them say you don't see much trash while passing through. But the plastic is there, and it's ugly and dangerous. He gave a viral 2012 TEDx talk about the plan, but a number of marine scientists were sceptical about the unproven plan to create the "largest offshore structure ever assembled". Slat's team has only tested the new system in labs and simulations, so it's still theoretical. But the advantages offered by the smaller, 1-kilometre-long arrays may help assuage some concerns. Each can function as an individual test to see how well the systems are working; they're probably easier to fix or remove if something goes wrong; and it's simpler financially to scale up construction over time, building and launching arrays once there's enough funding. Still, the absence of real-world evidence that the arrays will work is likely to raise questions among marine scientists and oceanographers who have previously expressed doubts about the Ocean Cleanup's plans. Plus, it's hard to know how much of the plastic that gets collected will actually be recyclable; and some researchers say the trash is deeper and will be harder to collect than the Ocean Cleanup team anticipates. True, these approaches don't capture the plastic that's already travelled out through ocean. If an array works as the team at the Ocean Cleanup hopes, therefore, it would be a fantastic, impressive achievement. The early results of Slat's audacious plan should become available next year - if he sticks to this new schedule.